For a slimline, elegant and affordable sliding door our Rehau PVCu door is ideal. 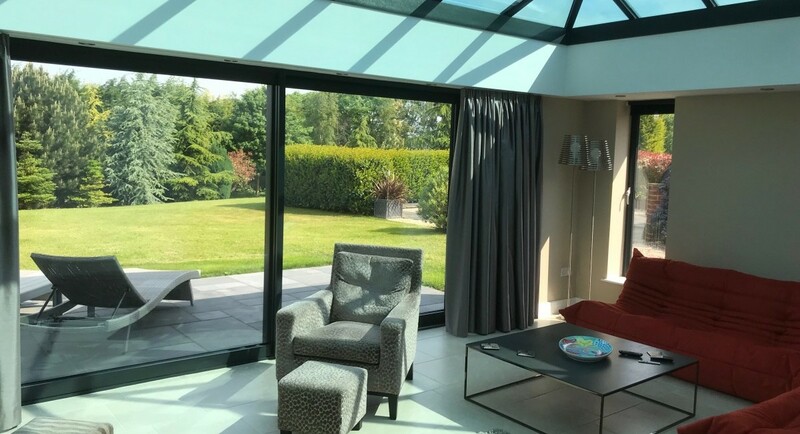 Cleverly designed and with three possible opening options our sliding doors offer many space saving and space creating solutions in your home. Our sliding doors come in a choose of inline, tilt and slide as well as lift and slide options. Each is designed to offer improvements to your home with a highly secure and energy efficient door. They’re designed around the class leading features of our Rehau Total 70 and Tritec 60 systems for a high specification sliding door. Bring the outside in with a REHAU patio door system. Our sliding doors provide pleasing aesthetics as well as a large glass area for optimum visibility. 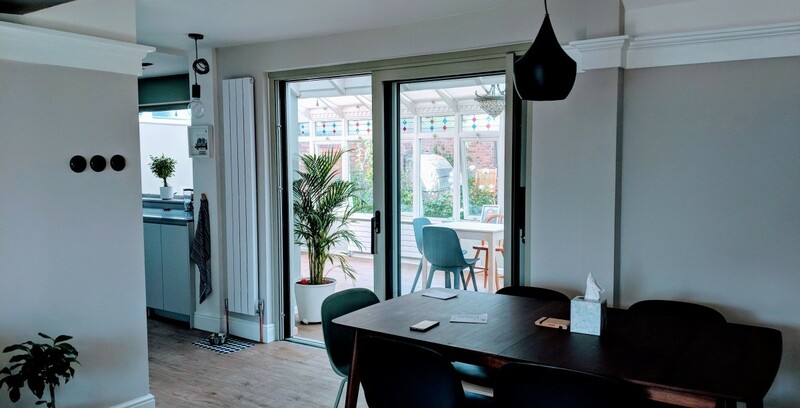 You can use our sliding doors as a porch door, a rear patio door, for a balcony, and even internally as a room divider to your conservatory. The large glass panels offer enhanced visibility as well as creating large openings for ventilation, to open your home to the outside space. They’re also practical in providing large openings through which large items can be carried. Doors slide on their respective tracks making them more space saving than a hinged or a folding door. So for smaller properties, patio areas or balconies they make the most of the available space. You can choose a range of configurations from two up to four sliding sashes. There are glazing options up to 42mm available using energy efficient toughened glass units or even triple glazing. Colour choice is also varied. As well as classic white you can also choose from eight laminated foil colours including Anthracite Grey, Black, Brown and Cream. A choice of woodgrain foils is also available. High quality hardware in an easy to operate sliding door. Our doors feature high quality running gear that is durable and built to last. Doors operate on a strong sliding rail giving a silent and light operation even with the largest door leaves. Our PVCu sliding doors offer optimum security thanks to the multi point locking system. On the tilt and slide products locks also extend to the perimeter of the door. An anti jacking feature is also provided as standard preventing the doors being lifted off from the outside. The locking handles provided are built to last with a choice of colours and complemented by high security cylinders. Our doors offer peace of mind complying with BS7950 and PAS 23/24 for security as well as Secured By Design certification. The quality pvcu with inherent strength provides a door that’s strong and robust with its welded construction. Glass is internally beaded to prevent removal of the glass from the outside. A quality sliding door that is built to last. For a great value door that is built to last, contact us for further information or visit our showroom for a viewing. Rehau sliding doors come with a detailed specification depending on the product and style. Integrates with our range of windows and doors. A choice of frame options for either direct fix or new build installations. Shares the same high specification and technology as our Rehau PVCu windows. Anti lift and anti prise features with reinforced interlock. Wide choice of colours and finishes. Your quality Rehau sliding doors are offered with a choice of double glazed units or further enhancement with triple glazing. As standard you benefit from toughened low e glass, warm edge spacer bars, argon gas fill and a 10 year guarantee. Our Rehau Sliding doors offer you wide colour choice including grained and textured finishes.